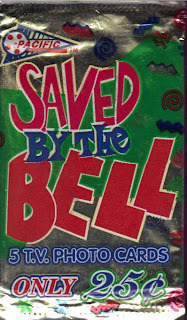 At one time, "Saved by the Bell" was arguably the most popular tweenie show on television. Of course, this was before the word "Tween" was even invented. This card set features 110 cards sold in packs of 5 for a quarter. Unless you wanted to send $10.95 and get the whole set in one shebang. The cards are glossy Pacific for sure. They sport a marbleized border os varying colors, the Pacific logo, the SbtB logo and whatever featured text on the front. The images are generally large and make use of the space provided (not always, though). 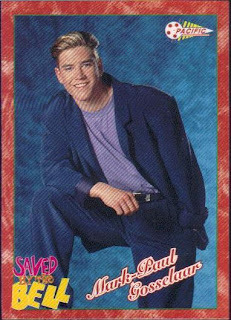 The first card in this pack is Mark-Paul Gosselaar. He is sporting the Miami Vice look. Of course, so was everyone else at the time. My guess is that one could line up all the cards border-to-border and find the pattern. The backs of the cards feature a secondary picture and a write-up about the features person or scene on the front. Lisa comes up third in the pack and features a "Did You Know" question on the back. What's Lisa's Last Name? (answer is below for those that can't remember or care to see). The back of the card also features Lisa wearing a floral bikini top and skirt/wrap-thing, in case you were wondering. 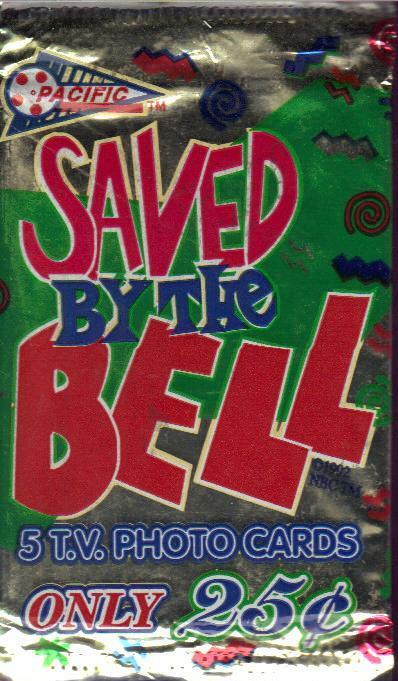 The back of this card explains that certain scenes (school hallway, principal's office, classroom, etc) don't change, but each week a new set was designed for added flair. 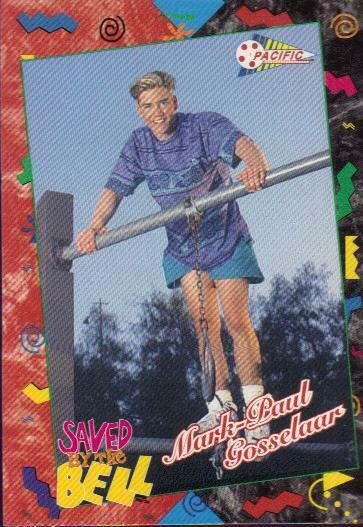 The last card in the pack is Tiffani-Amber Thiessen. The back of her card features a "Report Card" that reads like a description from a certain male-market magazine. Food: Cuban, Chinese, and Japanese. Music: Any music except country. Between takes: Does school work. On Hiatus: At the beach, movies or mall. The quality of the cards is actually pretty good without feeling or looking like the cardboard cousins of the '91 Topps baseball set. My son watched the re-runs of this show. Now that he is a teenager, he might appreciate having the girls' cards. 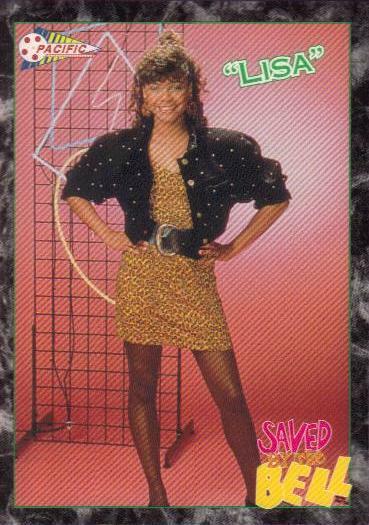 Lord, Pacific made Saved by the Bell cards? Well, it could've been worse if the set was based off of Zack's years in Jr. High school. Can you imagine adding a Ms. Bliss card to your collection?